He has urged the JCPOA opponents to support the government as the US deepens its standoff with Iran. 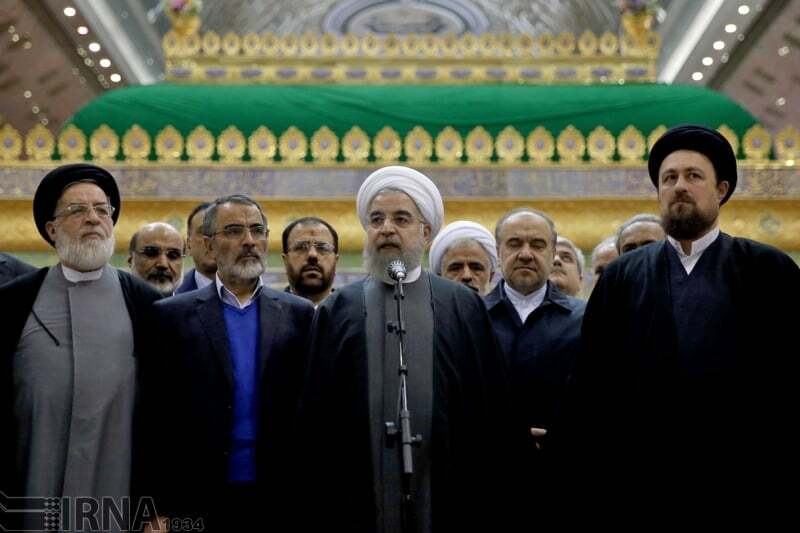 Speaking at Imam Khomeini (RA) Mausoleum after renewing allegiance to the ideals of the late founder of the Islamic Revolution, Rouhani asked the JCPOA critics to stop criticising his government who negotiated the pact with former US president Barack Obama. “Today, most of our problems are caused by the US pressure and their allies in this country. One should not put the blame on the government or the great Islamic establishment instead of condemning the US,” IRNA reported him as saying. Rouhani said his government should not be blamed for failing to predict the next US government would not be faithful to the pact. The president said Iran was not the only victim of the US failure to abide by obligation, as the Donald Trump administration has shown false promises toward Europe, China and many other countries too. “The mistakes of the US are not one or two. One should not say that the Iranian government engaged in negotiations with others, but failed to forecast that they would … break their promises after two years,” he said. The president called for greater unity in the face of intensifying pressure against Iran, saying political forces inside Iran ought to gather deeper understanding the plots of enemies. “This is the biggest economic pressure against the Iranian nation in the past 40 years after the revolution,” he said. “All of us should be united in face of the animosity of the US, Zionists and reactionary [regimes] in the region. We can overcome all problems,” he added. Rouhani said the US has suffered political, legal and psychological defeats in his standoff with Iran, and Washington would experience another defeat in the economic war soon. Earlier on Wednesday, the Leader of Islamic Revolution Ayatollah Seyyed Ali Khamenei was in the mausoleum to renew allegiance to the founder of the Islamic Revolution.